An upper body injury sends Sabres defenseman Jake McCabe to the sidelines for the remainder of the season. 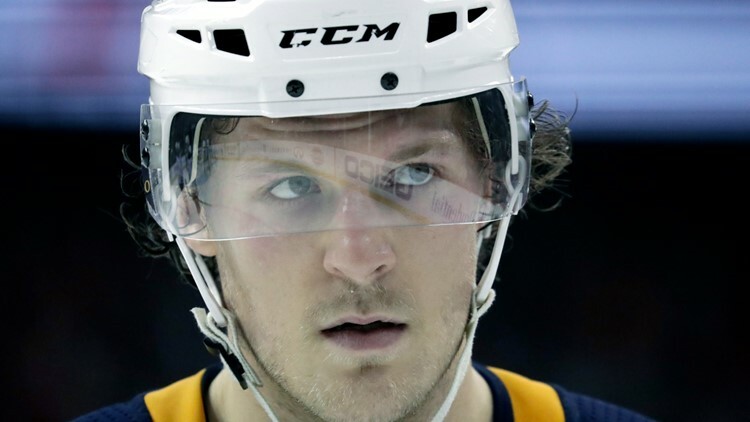 BUFFALO, N.Y. — Buffalo Sabres defenseman Jake McCabe is expected to miss the remainder of the season with what the team calls an upper body injury. McCabe was hurt in a 5-2 loss at Toronto on Saturday. With a little over a month left in the season, the Sabres on Monday announced the timetable for McCabe's recovery is between five and six weeks. The Sabres sit 11th in the Eastern Conference standings and are in jeopardy of missing the playoffs for an eighth straight season. McCabe is in his fourth full year in Buffalo and missed the final two months of last season after having surgery to his thumb and shoulder. He has matched a career-best with four goals and has 10 assists for 14 points in 55 games this year.